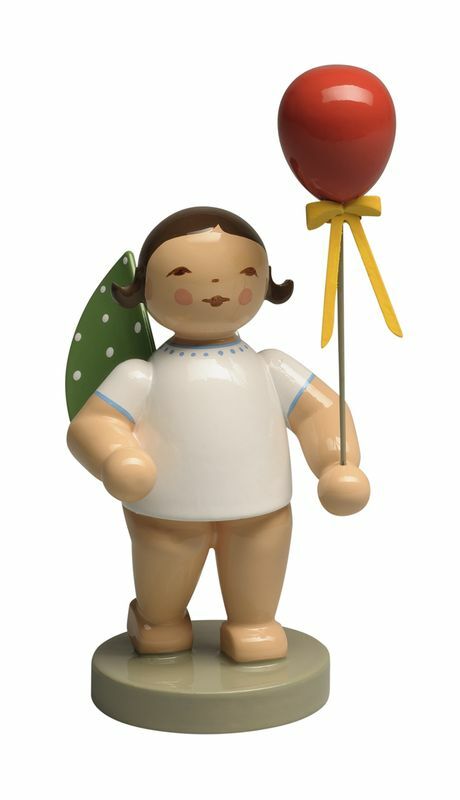 This angel holding a red balloon was part of the May 2019 design release by Wendt & Kuhn. She is a traditional orchestra angel with green wings and eleven white dots. She is 3" tall. She is available in brown or blonde hair and your preference can be specified towards the end of the checkout process in the notes field. To arrive in mid-May from Wendt & Kuhn. You can pre-order her now.